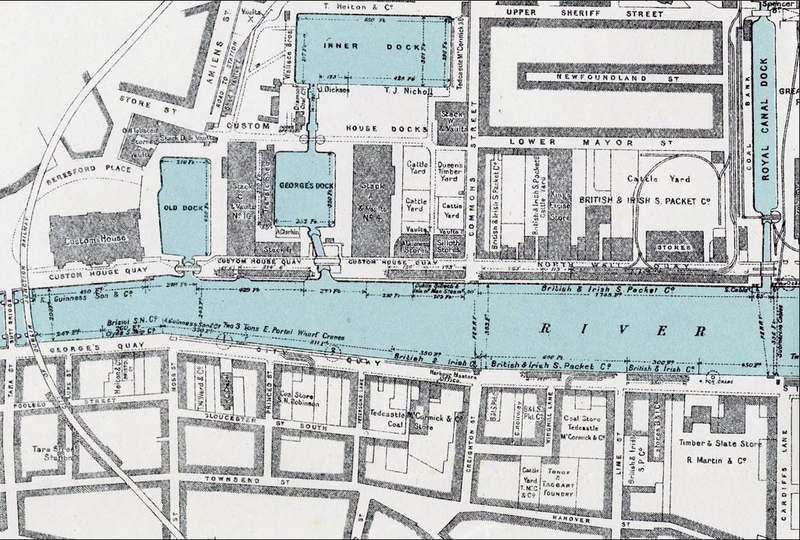 Our next public walking tour, and our penultimate is coming up very soon, this Saturday: River, Port, Dock, Canal, on Saturday 20th October, 13.00-15.00 (starts 1pm) Details below. We will meet 1pm sharp at, and begin from, the Triumphal Arch outside the CHQ building in the IFSC are. Then go walking east along the river, then over the Samuel Beckett bridge. Once over on the South quays, we will visit Bindon Blood Stoney’s famous Diving Bell.From there we’ll make our way to the Grand Canal Docks (both Outer and Inner) then through the old Boland’s Mill area. We will then walk along the Grand Canal itself, taking in Mount St Bridge, leafy Percy Place, and finishing up at the beautiful Pepper Canister church with its iconic classical portico and Athenian-inspired classical references. Along the way we will touch on everything from the Crimean War to the War of Independence, trade, commerce, shipping and navigation, the Easter Rising, engineering, bridge-building, technology, architecture, urban regeneration and renewal. That’s all coming up very soon so no time to waste if you’d like to join us: on this Saturday, 20th of October. Meeting at the Triumphal Arch outside the CHQ building by George’s Dock in the IFSC at 1pm sharp. Tickets should be purchased in advance if possible please. Walk-ups are sometimes possible but are approx 30% more expensive and are in any case subject to space and availability on the day. All the details, and more, on the ticket page and a useful map showing the meet point at the foot of that same page. Tickets for the event around €16.50 pp, available here. All details, map of meet point, practical information, T&Cs. and tickets, are all on the ticket page. Please read terms and practical details before you purchase. Thank you. following our River, Docks, Canal walking tour, our next public walking tour is not until the 8th of November. a Monto tour with Arran Henderson & Terry Fagan. 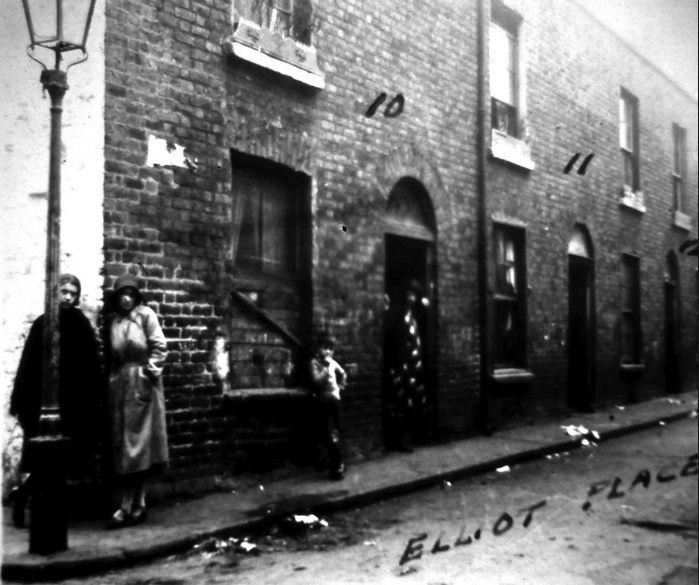 This is a tour of the former, notorious “Monto” district, the area bounded by Gardiner and Amiens Streets, containing long-forgotten names and vanished streets like Elliot Place and Faithful Place. It was Joyce’s Night Town from Ulysses and formerly the largest Red-light district in Europe. 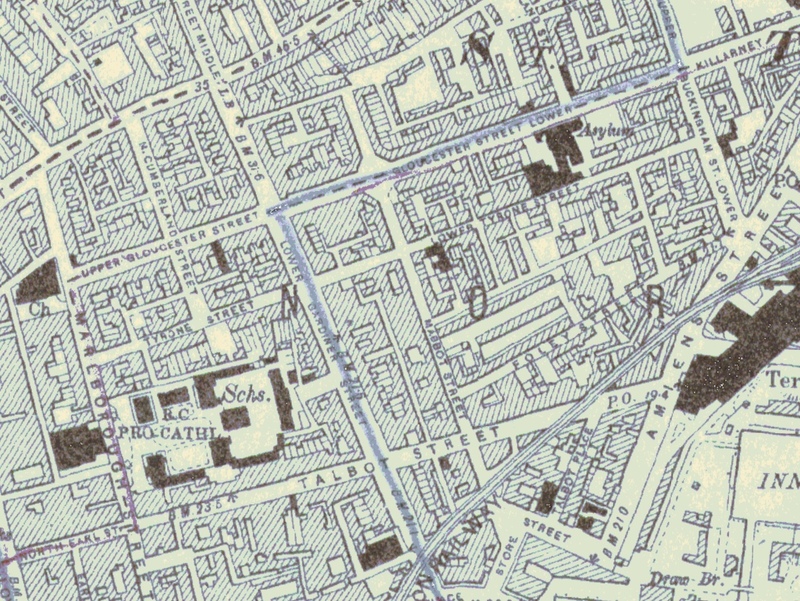 It was also the site of the last Magdalene Laundry to close its doors, at a site that still elicits understandably strong feelings and controversy, to this day. Most of our tour will be led by local expert Terry- the real authority on Monto history – as he brings us around the district, with stirring accounts of desperate poverty, prostitution and deprivation, as well as of great humour, kindness and solidarity, and remarkable stories of killing and vengeance during the Irish War of Independence, when the area was a hotbed of rebel activity, arms stores and safe houses. It promises to be a memorable afternoon of learning and commemoration, of our painful, often complex past. We hope some of you will be free and able to join us on Thursday 08th Oct. Meeeting 2.30 (14.30 PM) All details, map of meet point, practical information, T&Cs. and tickets for the November 8th Monto tour, are all here. Please read terms, and practical details before you purchase. Thank you.